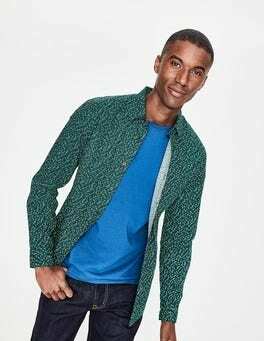 A casual shirt is the perfect partner for weekend relaxing. 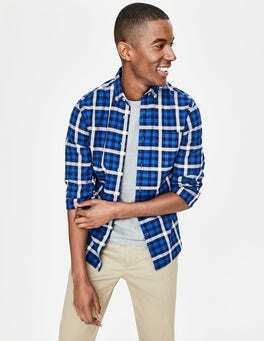 This checked or plain design has a comfortable fit that's easy to wear. 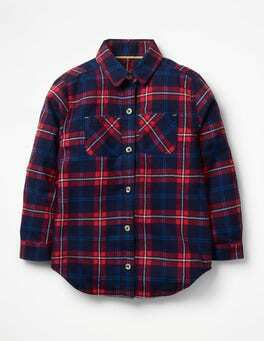 And it's crafted from supersoft cotton, with front pockets to give it a special finish. 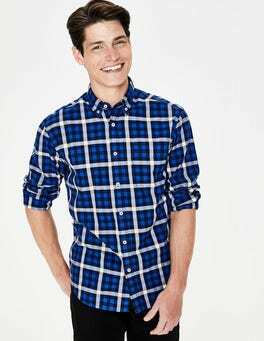 Whether you’re heading to the park with friends or stuck at home tidying your room, our cool shirt is super-comfortable, making it great for work or play. The brushed cotton design has a sweet curved collar and handy pockets. 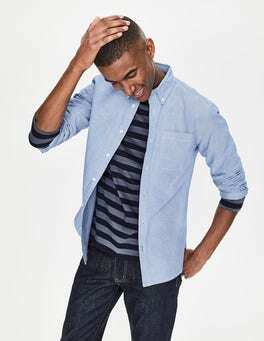 When you’re battling the morning rush, this easy chuck on shirt is the perfect solution. The cotton-linen blend is lightweight and relaxed and perfectly paired with your favourite jeans. Trust us, no one will know you were running late. 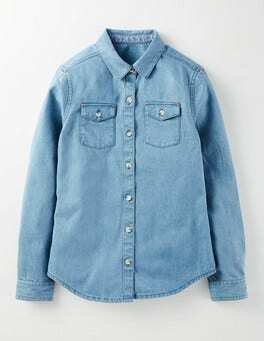 This is more than just an everyday shirt. 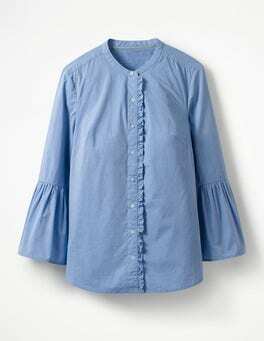 This one has extra feminine flair with elegant fluted sleeves and subtle ruffle detailing down the front. Crafted from soft cotton sateen, it has a subtle sheen and a gold braid at the back of the neck – because you deserve to shine whatever the occasion. Nothing hangs quite as beautifully (or feels as indulgent) as a 100% silk shirt. 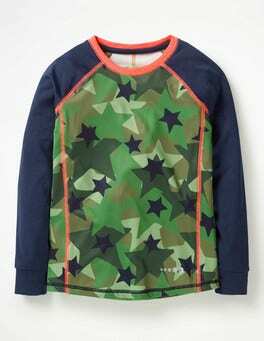 The real standout feature on this design is the blouson sleeves, nipped in by smart cuffs. We added a Peter Pan collar and buttons down the front to tie up this elegant-but-fun style. 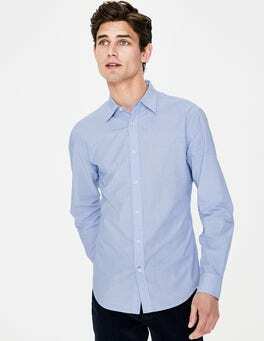 Made from sand-washed silk, this relaxed fit shirt with a smart collar and a hidden button-up front is beautifully soft to the touch. Wear with tapered trousers and loafers to tap into the borrowed-from-the-boys trend or tuck into a fitted pencil skirt for a feminine update. …sharp and ready to take on the world. 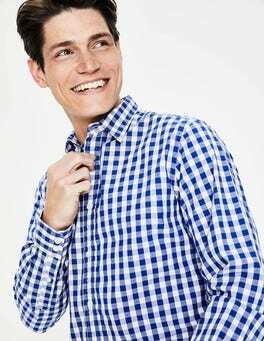 Whether you're at the boardroom table or the dinner table, this classic shirt works for every occasion. 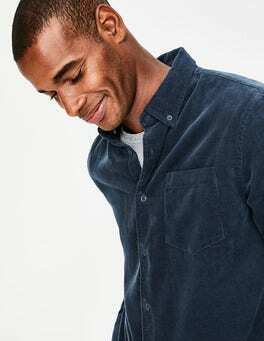 It's made from 100% cotton poplin and based on our bestselling Architect Shirt, but with an improved fitted shape that's perfect for pairing with a blazer. A shirt dress – but not as you know it. With a standout stripe down the front, it's crafted from softly draping fabric with a fluid, flattering shape. We've then turned the decadance dial to the max with a colourful print and romantic blouson sleeves. In a soft, cotton slub fabric, this shirt dress is ideal for weekends or lazy holidays. The relaxed shape can be nipped in with a tie waistband or left loose for ultimate ease. We finished it off with pockets and fun colour pops under the collar and sleeve tabs. What to wear when you've got work until five, a fancy dinner at six, and you want to look like a timeless style icon all day? This stretchy cotton shirt dress. Nip in the waist with the detachable belt, twirl the full skirt and feel ready for photos. It even has pockets for your lipstick. Our slim fit shirts are tailored at the waist for a flattering finish, but still have plenty of room across the chest to make them comfortable for all-day wear. 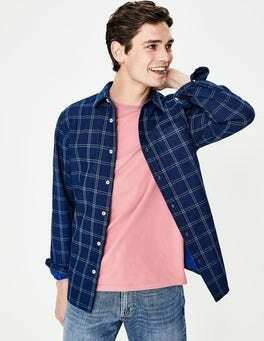 The Oxford weave on this one gives that iconic texture, and it's pre-washed for a soft, drapey feel. 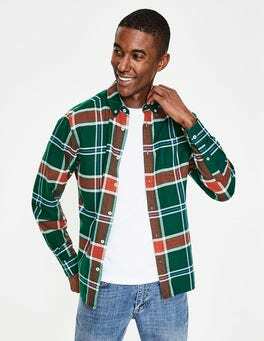 The ultimate everyday shirt? Check. 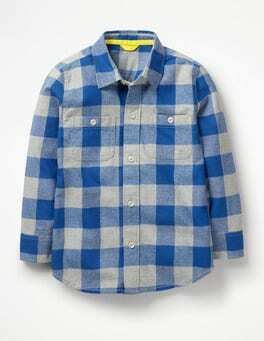 Ours is made from 100% cotton, which is brushed into soft perfection. Just the thing for layering up for weekend bike rides or cinema trips. Our slim-fit cotton twill shirt has a soft peached finish and will easily see you through dress-down Fridays at the office and a weekend in the country. 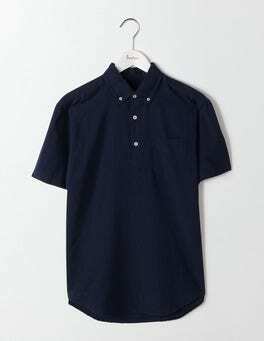 The button-down collar and chest pocket are practical and low-key, while the fitted shape and two-button cuffs give it a tailored finish. The classic shirt dress has had an upgrade, and you need to know about it. 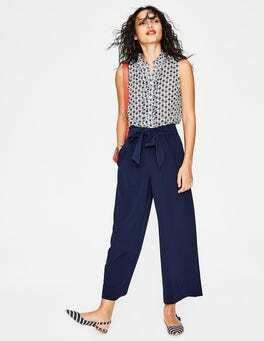 We've elevated the relaxed shape with a double-tiered hem and a gathered waist for a flattering yet laid-back look. Flippy three-quarter-length sleeves add an extra feminine feel, even when it's teamed with trainers or boots. Mix all-over prints with embroidered creatures and what do you get? 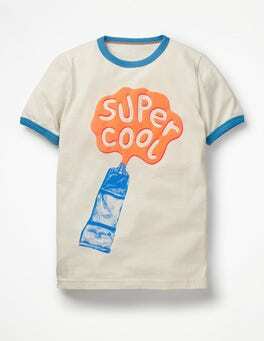 This extra-special T-shirt. 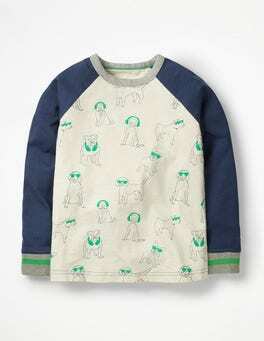 If the eye-catching dino or dog on the front isn't enough, the 100% cotton makes it a layering wonder. All you need is love. Well, that and this sparkly T-shirt. 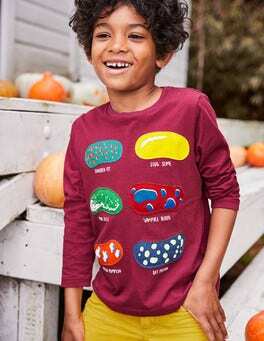 Choose a favourite from these 100% slub-cotton designs with printed gold foil emoji faces and hearts or glittering sequins that change colour at a touch. They're just the thing for spreading joy around. You can rely on this classic Breton tee whatever the weather. With five exciting colours to choose from and heavier cotton to keep its shape, you can wear one every day if you want to. Step aside racing stripes – there's more eye-catching sportswear on the block. Our fluro top with reflective branding ensures visibility, whatever the activity. 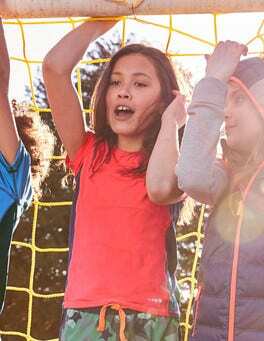 With supersoft sweat-wicking fabric and a subtle stretch, it's as comfortable halfway up a tree as it is on the pitch. The best kind of cotton T-shirts comes with heaps of textured details. 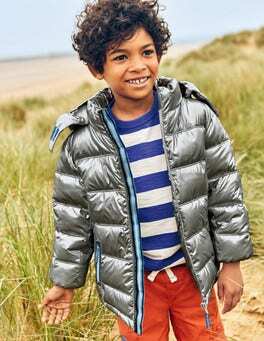 With colourful bouclé, lurex, felt and embroidered features these machine-washable styles are the perfect companions for extraordinary adventures (but not so great for hide-and-seek). Feeling arty? 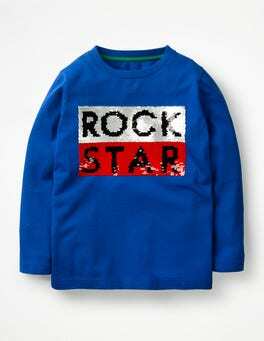 The printed graphics on this T-shirt go hand-in-hand with getting creative. And why? 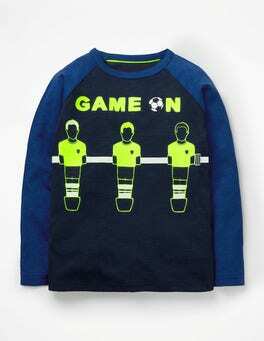 Because each design, in eye-catching neon, features a 3D effect and fun contrast ribbing. It's a wearable masterpiece that's perfect for everyday dressing. Our animal T-shirts just got fiercer. We've used thousands of stitches to bring our creatures to life and they're so realistic, we even scared ourselves. Don't worry if the day out gets as wild as the creatures: they love nothing more than going for a spin in the washing machine. We used thousands upon thousands of stitches (honest: we counted) to bring the playful creature on this bold T-shirt to life. 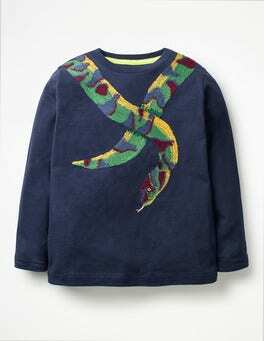 It bounds around on a neon background for a splash of colour, on a soft jersey background for extra-cuddly warmth. 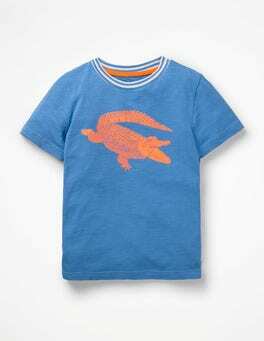 A sneaky reptile has snuck onto this T-shirt – so we coloured him in neon to make sure he‘s easy to spot. 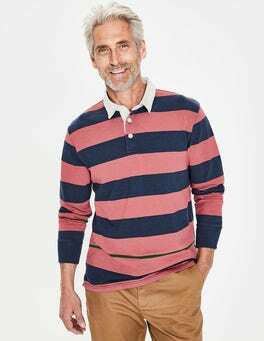 The striped ribbed neck has a fun sporty look, while pure cotton makes sure it's still warm after shedding any other layers. 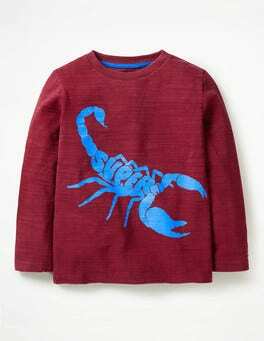 That's the after-school swamp-exploring outfit sorted then. We think every day can be special. That’s why we made this T-shirt – the lace trims makes it feel like a treat. And versatile colours mean you can wear it with anything. How about pairing with a skirt for a party, or under dungarees when the great outdoors calls? Going places? This fun transport-themed T-shirt certainly is. 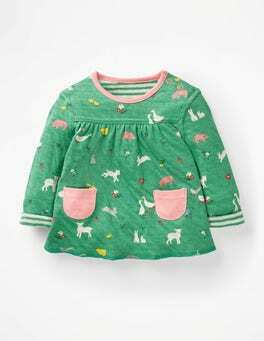 It's made from a sueded fabric that feels soft to the touch (and gentle on skin), with appliqué vehicles for fun texture. There are two poppers on the shoulder for on-the-move changes. 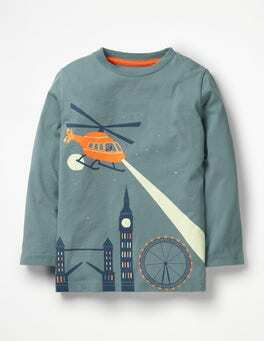 Reindeers, with their jolly contrasting-colour noses, come along for a ride on our 100% cotton T-shirt. Concealed poppers on the shoulder make for fuss-free changes. 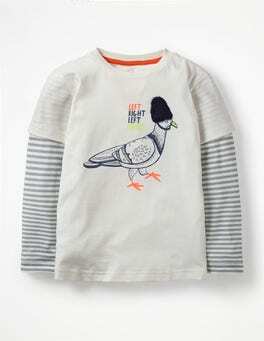 Delicate skin will love the supersoft sueded finish, while long stripy sleeves will keep baby warm on afternoons out. 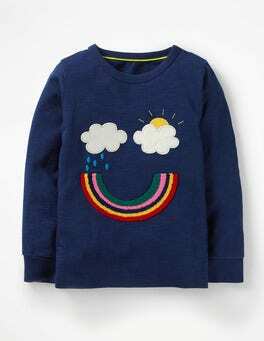 Life is all sunshine and rainbows as far as this textured appliqué T-shirt is concerned. 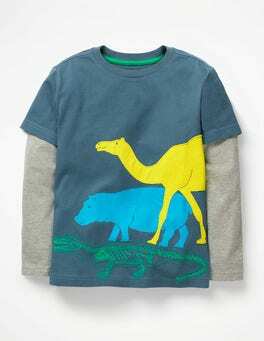 In sueded cotton, it has a supersoft feel and raglan sleeves for comfortable days outside. Poppers on the shoulders mean less time on outfit changes and more time playing. 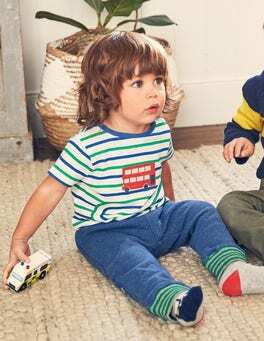 We’ve taken a classic pointelle T-shirt and added some fairy dust to make the stripes shine and sparkle. The jersey fabric is slightly stretchy, so it's comfortable all day long. 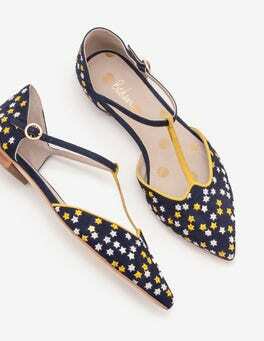 Pair with twinkly tights and a denim skirt for a party. Animals + sequins = magic. 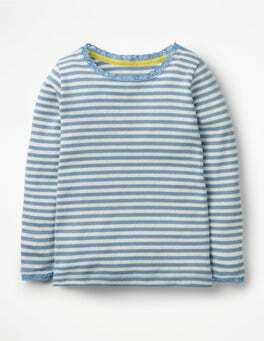 Our long-sleeved stripy T-shirt has all three, and in 100% cotton it's super comfortable too. And now for the abracadabra moment: simply stroke the sequinned motif and watch it change colour. That's the party trick sorted then. We think every day can be special. That’s why we made this T-shirt – the pretty lace makes it feel like a treat. And versatile colours mean you can wear it with anything. How about pairing with a skirt for a party, or under dungarees when the great outdoors calls? Hats off to this best-of-British jersey top. With giggle-worthy slogans, foil-and-bouclé detail and pops of neon colour, it's just the trick for livening up jeans. The doubled-up sleeves mean there's no need for extra layers – ideal when dashing out the door in cooler weather. …temperatures, keeping you warm on wintery walks and cool in the summer months, so it's a true year-round essential. 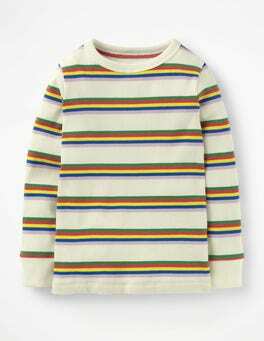 The classic V-neck features stripe detailing on the sleeves for an added flash of colour. 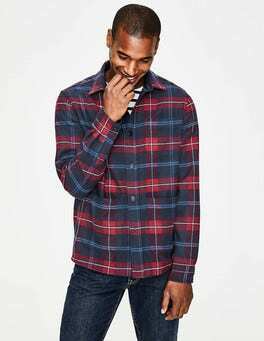 Team it with a shirt for work or throw it on with jeans and a T-shirt for cosy weekends. Seeing stars? We are too. 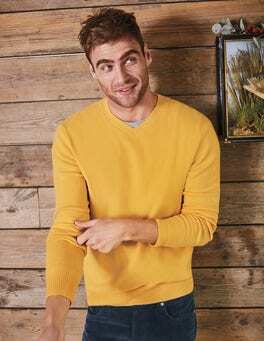 Our crew-neck jumper is easy to layer over T-shirts and shirts thanks to the boxy fit. The rose gold foil stars take centre stage, but we've also added contrast piping to the inner collar, and given it a ribbed neck, hem and cuffs. Shine on. This V-neck is the ultimate versatile addition to your wardrobe. Layer it over a shirt to keep cosy during the 9-to-5 and weekend adventures. 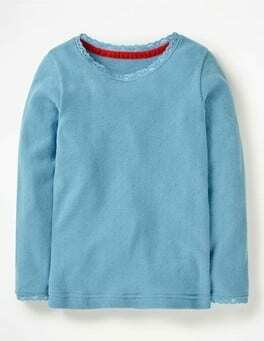 Not only is the lambswool blend extra soft, it's also fully machine washable.